The assurance of a productive, safe, viable future is marked by the interconnectedness of the human and environmental systems. At this Institute we will define sustainability in an educational context, present examples of PK-12 schools and resources for sustainability, and provide working sessions for educators to plan for how they can bring sustainability into their classrooms and institutions. Our ultimate goal is to give educators the tools to cultivate a new generation of young people with the awareness, responsibility, and ability to take action for a beautiful, prosperous future. The cost of the 3-day Institute is $150. Preconference is an additional $35 ($185 total for both). Includes breakfasts and lunches. Campus housing is available for $40 per night. The Institute may be taken for 3 credits of graduate university credit through Webster University for $450. Students new to Webster University will need to apply for a graduate program or for non-degree seeking status. The $50 application fee will be waived. To register for credit, please contact Lori Diefenbacher by phone at 314-246-8054 or by email at diefenlo@webster.edu. Click here for more information and a link to online registration. Contact Lori Diefenbacher by phone at 314-246-8054 or by email at diefenlo@webster.edu. The U.S. Green Building Council – Missouri Gateway Chapter welcomes you to come socialize and get acquainted with USGBC-Missouri Gateway! Chapter officers, past and present, will be on hand to share the chapter’s history, highlight member benefits & opportunities, and answer questions. Attendees will have the opportunity to meet fellow new members while enjoying complimentary appetizers and drinks. After new members have learned about the chapter, they will tour SWT Design and learn about the office’s sustainable design, construction and operation features. 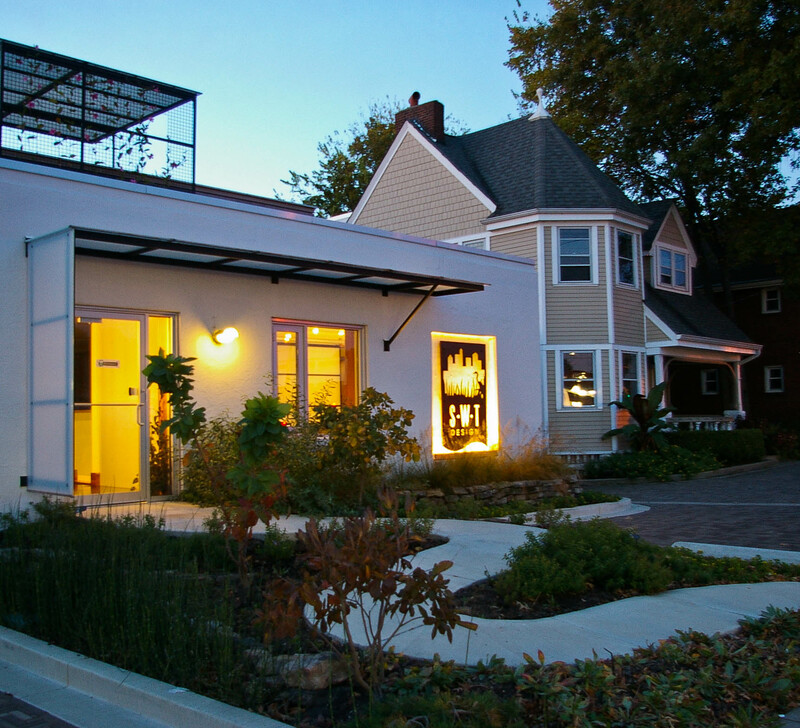 The SWT Design office building is comprised of a home built in 1895 with a new studio addition which showcases the adaptive reuse of a 1950’s block building. The two buildings are connected by a pedestrian bridge which allows stormwater to pass from the front of the property through a rain garden and into one of many percolation pits. 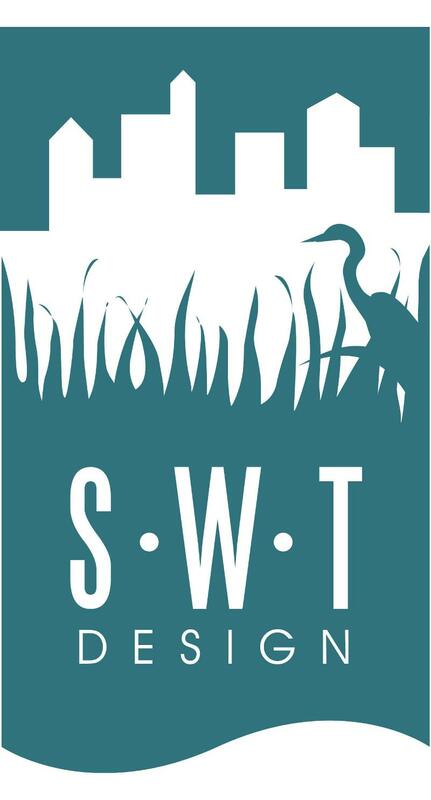 The SWT Design campus was selected as a pilot project in the Sustainable Sites Initiative (SITES) and boasts various types of green roofs, rain gardens, pervious paving, native plant materials and other green building techniques. The USGBC-Missouri Gateway Chapter is proud to celebrate and recognize the individuals, groups and organizations actively transforming the built environment while sharing their knowledge of green building and sustainable practices. Congratulations to another amazing class of Growing Green Awardees who were honored at the 4th Annual Growing Green Awards Celebration on March 29. Check out photos from the evening here. See all the nominees and learn more about each winner in this presentation (PDF)! 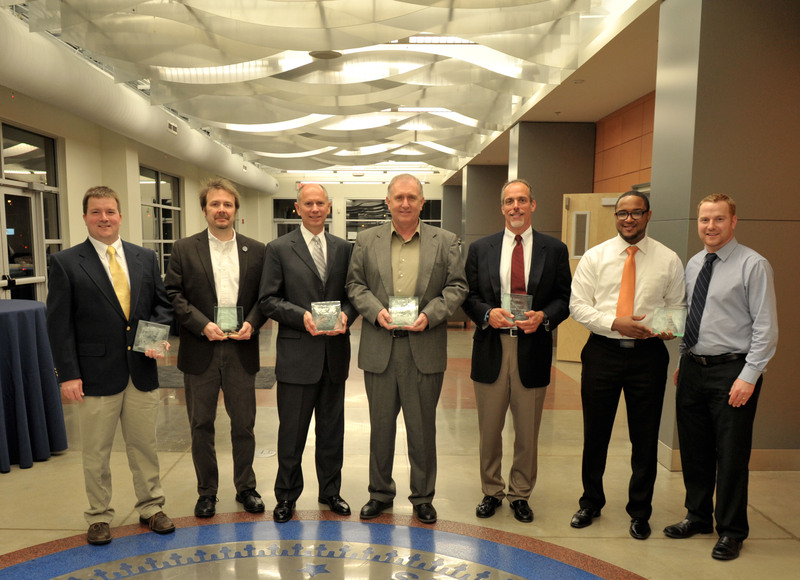 From left to right: Russell Barton, Parkway North High School; Carl Karlen, Cannon Design; Randy Weller, Citi; Joe Brantley, AEP River Operations; Dirk Elsperman, Tarlton Corporation; Keith Jones & Tim Dolan, Urban League of Metropolitan St. Louis. Photo courtesy of Christina Bollinger. In this one-day course taught by Dan Chiras, Ph.D., author of Green Home Improvement and numerous other books on home energy and energy efficiency, participants will learn many ways they can slash their or a client’s home energy consumption, reducing energy bills and improving comfort of their homes. Students will view numerous energy-saving measures implemented at The Evergreen Institute. Students will develop a ten-point plan to implement at home with the goal of cutting energy bills by 25 to 50%. • Financial incentives for efficiency measures. Dates: April 14, 2012 at Gexpro in Fenton, St. Louis, Missouri. They are located at 1620 Headland Drive. Get Your Green On – Green Ball 2012! Mark your calendar for the third annual Green Ball, a Celebration of all things GREEN in St. Louis! Sponsored by the Moonrise Hotel, the Green Ball benefits the EarthWays Center of the Missouri Botanical Garden. The LEED for Neighborhood Development Rating System (LEED-ND) integrates the principles of smart growth, urbanism and green building into the first national system for neighborhood design. LEED-ND is a collaboration among USGBC, Congress for the New Urbanism, and the Natural Resources Defense Council and recognizes development projects that successfully protect and enhance the overall health, natural environment and quality of life in our communities. The rating system encourages smart growth and New Urbanist best practices by promoting the location and design of neighborhoods that reduce vehicle miles traveled (VMT) and creating developments where jobs and services are accessible by foot or public transit. It also promotes an array of green building and green infrastructure practices, particularly more efficient energy and water use—especially important in urban areas where infrastructure is often overtaxed. Projects may constitute whole neighborhoods, portions of neighborhoods, or multiple neighborhoods. Projects are often mixed-use, though small single-use projects that complement existing neighborhood uses may also use the rating system. 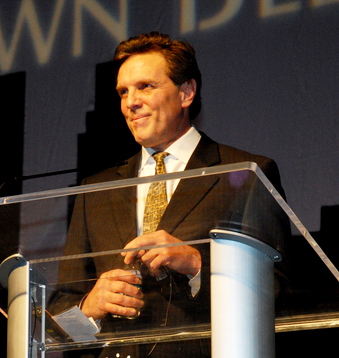 SPEAKER: Doug Farr, founding principal of Farr Associates. Based in Chicago, the firm is widely regarded as one of the most sustainable practices in the country, recently certifying its sixth LEED Platinum building and third LEED-ND project. Farr was the founding chair of the USGBC LEED-ND committee, working to establish a national standard that integrates the principles of green building and smart growth, and is author of the urban planning best-seller Sustainable Urbanism: Urban Design with Nature. His planning work at Farr Associates has helped certify multiple LEED-ND developments across Illinois. Describe key elements and unique features of LEED-ND. Build on current knowledge of various LEED rating systems and formulate how we ramp up and build smarter on a neighborhood scale. Discover how new urbanism links projects together, fostering a walkable, livable more vibrant community without relying on personal vehicles. Review a case study of a LEED-ND project in the St. Louis Metro area, focusing on challenges, opportunities and lessons learned. Lunch and Learn: Have you ever wondered about methods used to clean a building that promote the health of the occupants? Three speakers at this event will reveal ways of minimizing health impacts of building cleaning. Topics include: 180 Degree Assessment Program from the Green Clean Institute, immediate and residual impacts of the indoor air we breathe, how Columbia Public Schools has improved the quality of indoor air in the built environments children, staff and visitors spend their time, how State Farm Insurance has implemented Green cleaning to support a healthy environment, and how a Columbia city composting program can help your building reduce trash pickup fees.We will provide sandwiches and soft drinks, coffee and tea for a nominal fee of $7. There is no fee for the program. FEE $7 includes sandwiches from The Sub Shop, coffee, tea, and soft drinks. The new Fundamentals of Lighting Course is designed as the entry level course for those who have little lighting knowledge. The set of 7 instructional lessons is ideal for those who have very basic awareness of lighting and for those who are interested in a refresher course. The course will begin promptly at 8 AM each day and a lunch break will be included. A student manual and ready-reference will be provided to each student as part of the course fee, which is $275 for IES members, $325 for non-members and $175 for students. There is a volume discount for company’s who enroll two or more people. The charge per person is $295. There is a $20 late fee registration for each set of books that must be ordered after April 9nd 2012. Please contact Claudia Gabay-Jones (314-743-3213/claudia.gabay-jones@frostelectric.com) with questions or for more information.